Photographs taken on 21 July 1968. The battery was established here in the late 1890s and the two-storey house was also used by the Coastguards whose dwellings were on the site of the flats seen in the background of this photograph. This training area was used by the Royal Naval Volunteer Reserve (later the Royal Naval Reserve) continuously from then until March 1968. 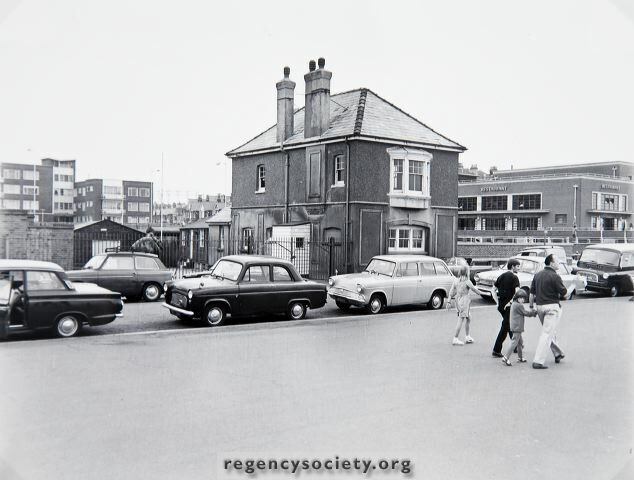 In 1969 Hove Council bought the site for £90000. The purpose of these photographs is to show some of the buildings on the site, as they will be cleared in course of time. For example the house, which was lived in until a few years ago, was demolished in October 1969.